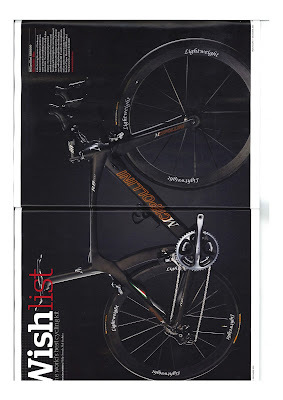 The Bianchi "Oltre Nero Limited Edition" has been announced in Italy. We wrote, back in early October, about a matte black Oltre that was making the rounds of the bike shows. See here for more photos and the blog entry. One can quickly understand why the RB1000 price tag is so expensive. In reality, this is the only true complete monocoque frame on the market. 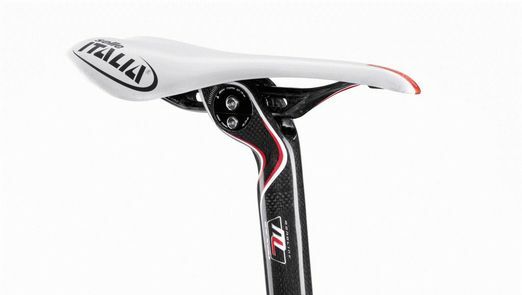 Usually, the frames labeled monocoque have a front triangle to which the rear triangle is connected. With the Cipollini the complete frame is built as a single piece thanks to a unique mould for the 2 triangles, very complex to engineer and costing a fortune. With such a design the precision must be total and any error can not be forgiven. 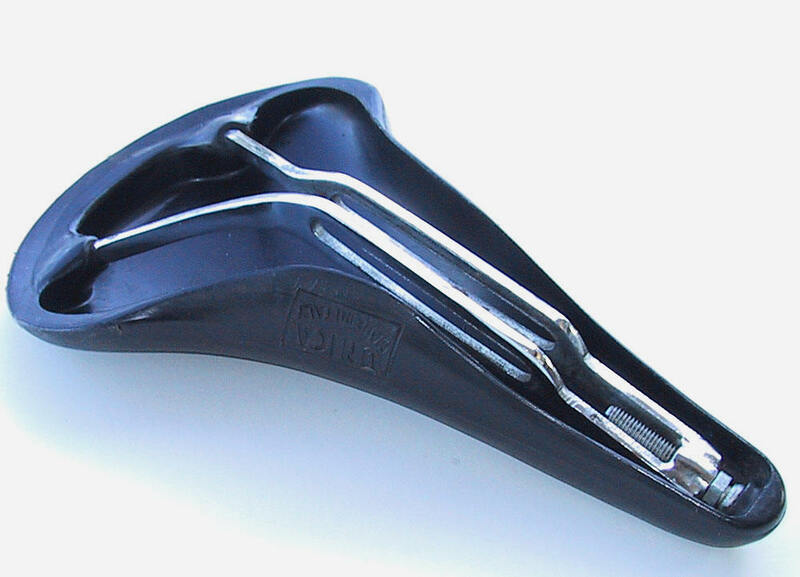 Furthermore, the shapes designed by engineers are not making the job any easier. We cannot speak about tubes but rather about non-typical shapes. The frame is oversized everywhere! We can almost believe we possess a time trial bike. 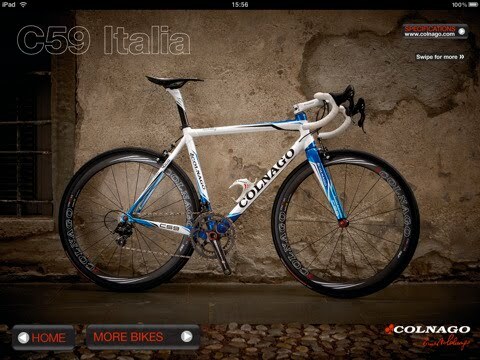 But no, it's a road bike for sure. 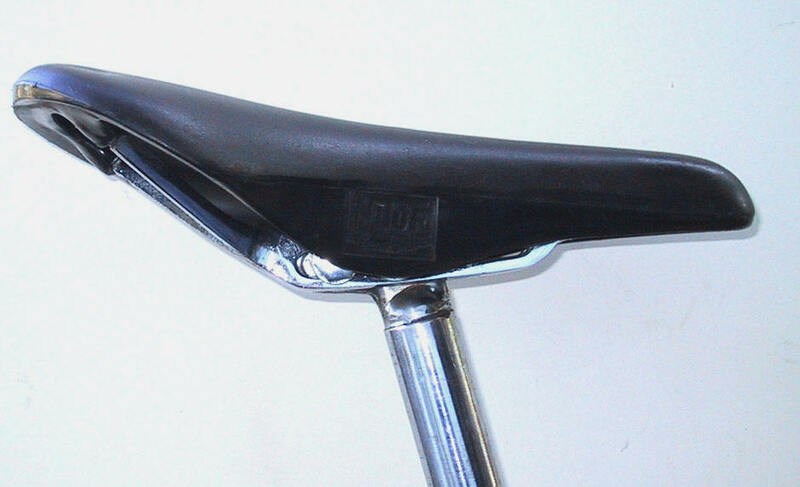 The steering, for instance, is oversized with a top diameter of 1 1/4" and the bottom 1 1/2". The fiber used for the frame is a T1000, quite unique. The objective is clear: maximum rigidity for maximum efficiency! 7 sizes available. Quite logically, the RB1000 is not suitable for a cycling tourist. As Mario told us: "the bikes are made as for for myself". Needless to say they are not for the crowd. 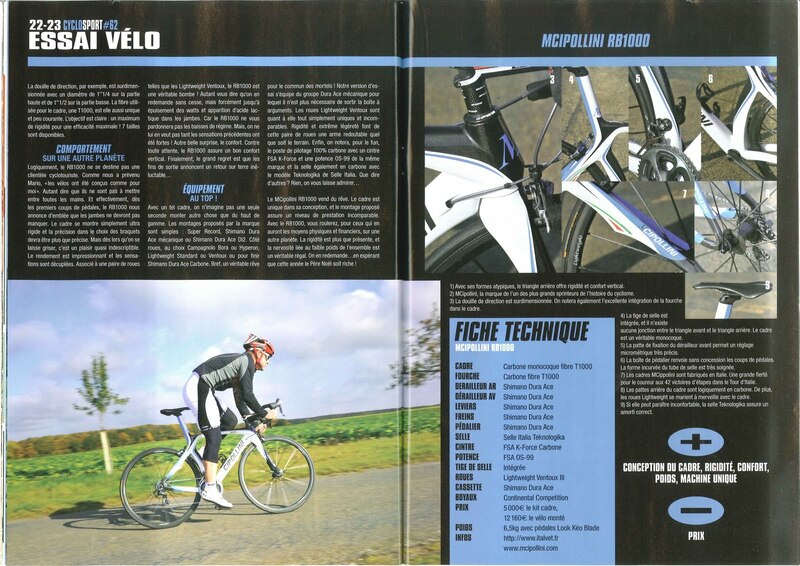 Effectively, right at the start of pedaling, the RB1000 communicates clearly that fit legs are required. The frame is ultra-rigid and the accuracy in selecting the right gears must be perfect. But the ride is thrilling, it's impossible to describe. The throughput is impressive and the feelings explode. Paired with wheels like the Lightweight Ventoux, the RB1000 is a real bomb! We pedaled stronger and stronger until no more watts remained. Because the RB1000 is not forgiving of slowing down. It cannot be considered a downside as the pleasure is so great. Another nice surprise is the comfort. Against all odds, the RB1000 delivers good vertical comfort. Eventually our tour ended and that's the only regret, back on earth…." The only negative was for price: 12,100 euro as tested. btw, I've never seen an RB1000 with two water bottle cages...has anyone? 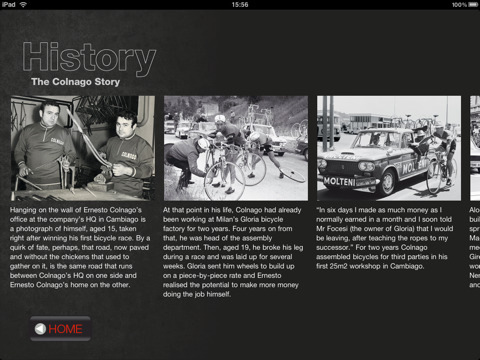 - The story of Ernesto Colnago: the story of how the founder, Ernesto Colnago, took up road racing before being employed as a mechanic for Eddy Merckx and then moving into bike manufacturing. - The history of the company: From 1954 through collaborations with brands like Ferrari to the present day. - The technology: insights into the cutting edge technology used. 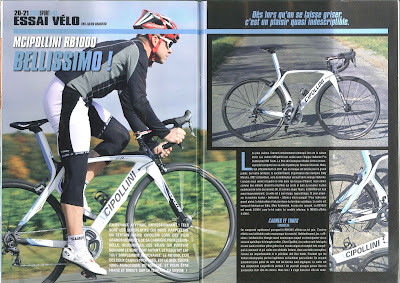 - The story of the 2011 models: Gorgeous photos and close ups of the 2011 range including the C59 Italia. 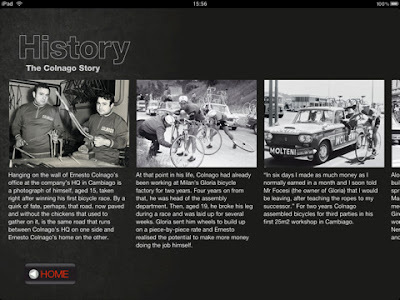 - Gallery: showcasing photographs of Colnago bicycles in the factory museum, action shots of the Colnago sponsored teams including Bbox, photographs of the Colnago Grand Fondo events and historical photos through the decades. To download the app visit here. 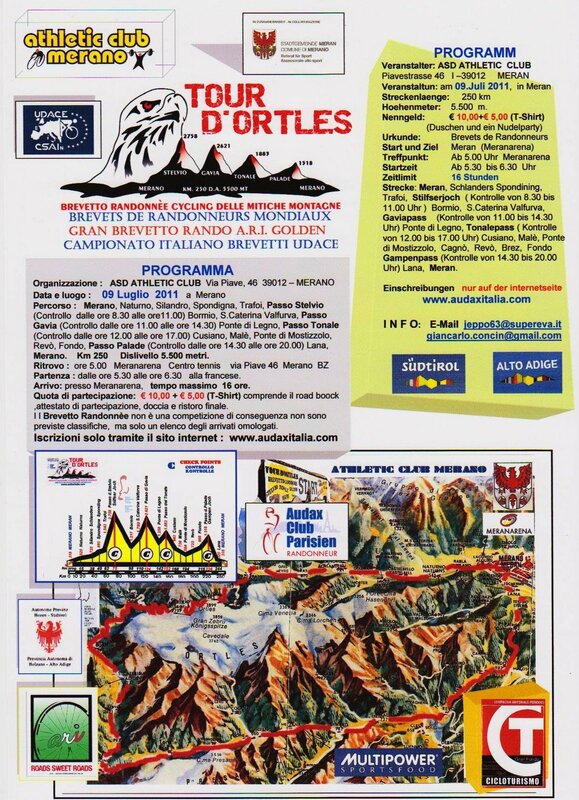 The ASD ATHLETIC CLUB MERANO has organized the 250km Tour d'Ortles randonnée which will give participants an opportunity to traverse much of the Parco Nazionale dello Stelvio featuring climbs of the legendary Stelvio, Gavia, Tonale and Palade passes. The event is scheduled for July 9, 2011. The 250 km randonnée, which has a total of 5,500 meters of elevation gain, has a time limit of 15 hours. By the way, the place to learn of randonneuring events and brevets in Italy is www.audaxitalia.com which is the website of Audax Italia. The site's owner, Tony Lonero, is bilingual so you can contact him in English via the web form under CONTATTA and entering on the form your name (nome), email address, and your message (messaggio). With only five weeks to the guest contributor contest (details here) it's time to awaken the writer in you if you don't want to miss out on some of the great prizes. BicycleGifts.com is the premiere site for gifts and merchandise for bicyclists, cyclists and bicycle enthusiasts. 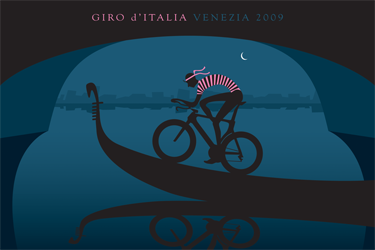 They pride themselves in being the #1 provider of bicycle-related gifts, vintage original posters and prints, greeting cards, bicycle art, men's and women's bicycle clothing and jerseys, unique cycling related jewelry and much more. Do visit visit their site for your holiday, gift and personal shopping. 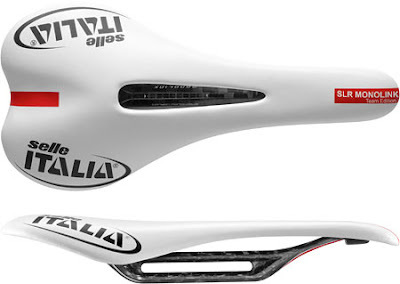 My friend Kevin writes, "Just saw an ad for the new "worldwide patent" Selle Italia MONOLINK saddle that you wrote about last year when it was just about coming to market (see here). 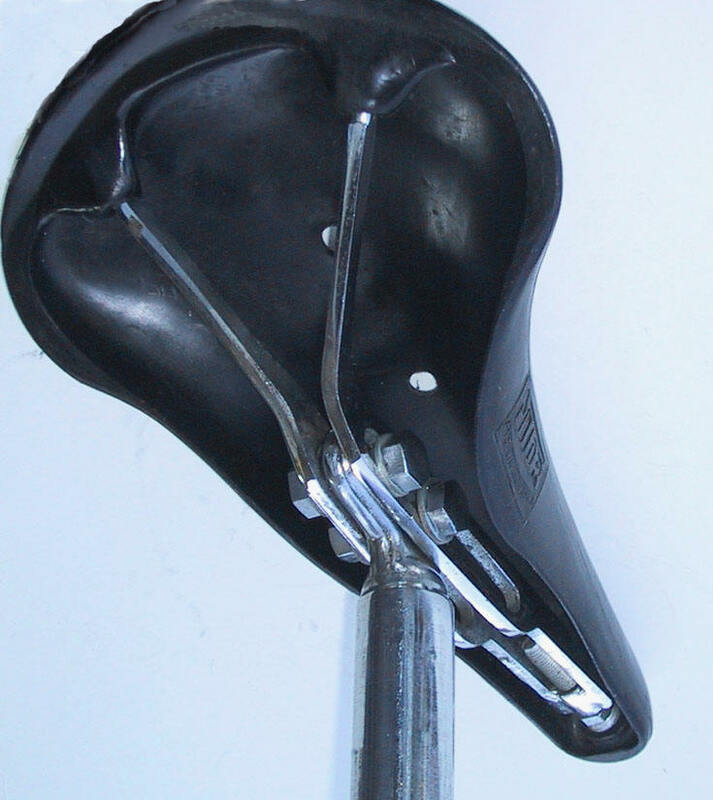 It looks curiously similar to the early 1960s Cinelli Unicanitor saddle/seatpost system. Most notable similarity are the saddle rails. What's old is now new!" We previously discussed how Colnago's "ace of clubs" design came to be in this piece back in 2008. Colnago’s ace of clubs logo has featured on bikes ridden by some of the world’s leading professionals since 1974, but it was inspired by a great Italian victory four years earlier. In 1970, Michele Dancelli ended a 17-year drought for Italy at Milan-San Remo when he rode home alone on a Molteni-branded bike built by Ernesto Colnago. 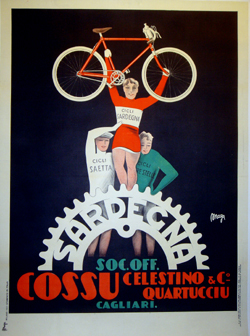 Writing in La Gazzetta dello Sport Bruno Raschi described Dancelli as having “won on a bicycle that was in bloom”. 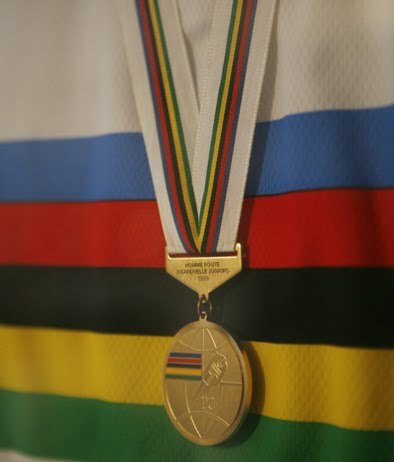 Speaking later with Colnago, Raschi suggested the he should create a symbol of that victory. 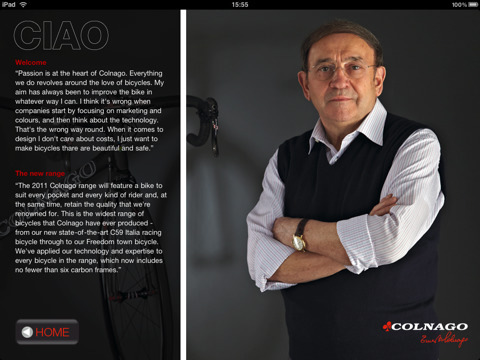 “I liked the idea right away,” Colnago admitted. 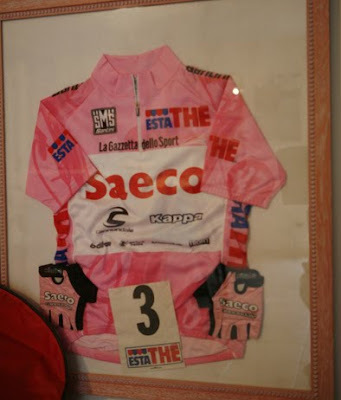 “San Remo is the city of flowers and Raschi had written that the bicycle was in bloom, and I was hoping in my heart that I would become an ace in the bike world. “As soon as I got home, I created the new logo – the ace of clubs. Today that logo is recognized all over the world." 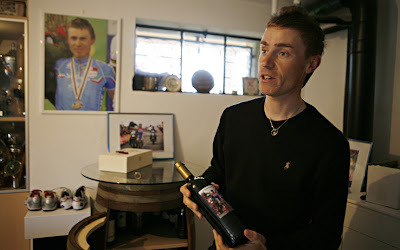 Damiano Cunego lives in Cerro Veronese, in the hills 20 km to the north of Verona. There is a nice ride you can do from Verona to Piazza Borgo, for an espresso of course, in Bosco Chiesanuova that passes via Cerro Veronese. It's not too unusual to see Cunego out on training rides. 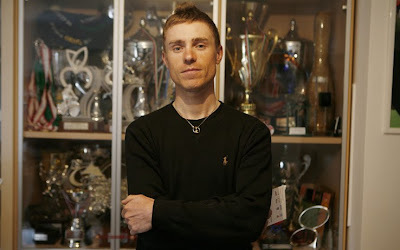 Damiano in front of his trophy case at home. His trophy from his victory at the Amstel Gold Race in 2008 is his favorite. His 2004 Giro d'Italia pink jersey, the year he won the Giro. Favorite wine: Amarone made in his local valley. Are you getting ready to become a guest contributor between January 1st and February 15th? One of my goals for the Italian Cycling Journal is to make it a place where people can find and read stories of cycling trips and cycling adventures in Italy. With winter around the corner for most of the cycling world I thought it would be fun to have a contest to entice you to write a story about your cycling trip, or an aspect of your trip, in Italy. 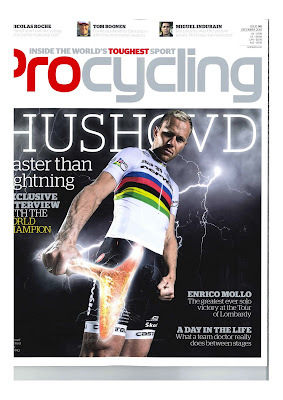 Or, it can be about a granfondo experience, etc. The period for story submissions for prizes will be January 1-February 15, 2011. First, we need some prizes! 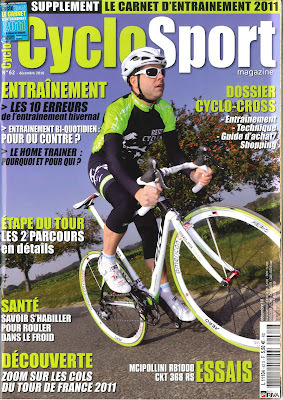 If you are in the cycling products business, or know someone that is, I'm looking for prizes that will be given out by random drawing to the guest contributors. In return I will list you as a prize contributor with a hot link to your site at the end of every story published (whether from a contributor or not) from January 1 to February 15, 2011, (the number of stories published this year have been between 32 and 62 in a month). Contact me at veronaman@gmail.com for more information and readership numbers. Thank you in advance to everyone. We initially wrote about the Gran Fondo New York back in June, 2010, when it was newly announced. Planning for the event, which is scheduled for May 8, 2011 has proceeded and registration is now open. Registration is $195.00. 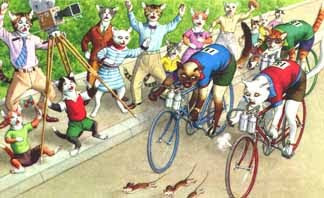 Below is the latest information taken from the event website, www.granfondony.com . I notice that no significant sponsors appear to have signed on to the event as of yet. This, I imagine, could be problematical as organizing an event of this scope in New York City and beyond is a very expensive proposition. "Gran Fondo New York brings Italian cycling culture to the world’s greatest city. The inaugural Gran Fondo New York is set to take place on Sunday, May 8, 2011, starting at 6:30am. The 106-mile/171-km professionally managed event will feature the excitement of starting in New York City, four timed climbs, one of which is Bear Mountain, beautiful scenery, charming towns and the camaraderie of group cycling. Background: Gran fondo is a challenging, 100+ mile bike race, a concept stemming from Italy. You can think of it as a marathon on bicycles. In NYC, there are long-course bike tours or short-course criterium races. Here is where Gran Fondo New York is different: it is a long-distance challenging ride that appeals to competitive racers and recreational cyclists alike. In Italy, a gran fondo has 1,000 to 10,000 participants, covers at least 100 miles and goes over challenging terrain. 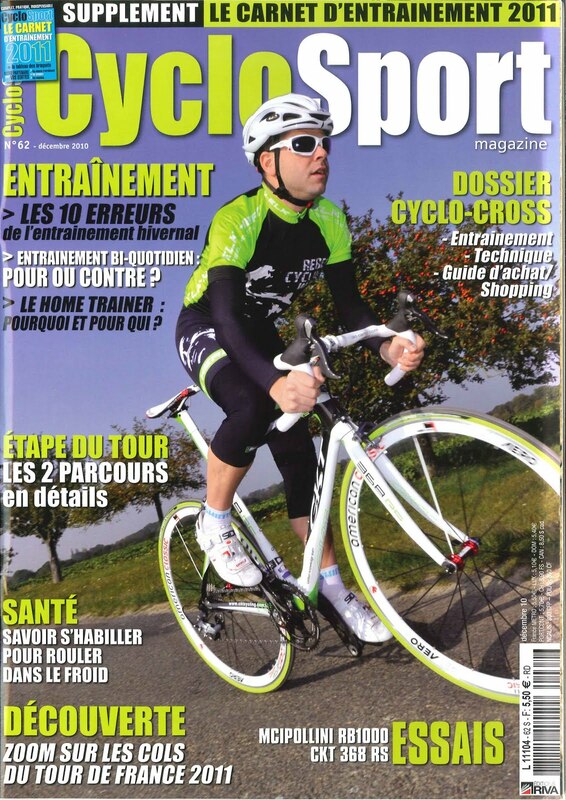 In France and the UK, this style of racing is known as cyclosportives. Course: The undulating terrain of the course will challenge participants’ strength and stamina with 5,600ft/1,700m of climbing. The Gran Fondo New York course will take the 8,000 cyclists from New York City to New Jersey across the iconic George Washington Bridge with stunning views of Manhattan. Riders will follow the Hudson River upstream on Route 9W and nearby rural roads and after 50 miles, arrive at Harriman State Park. The four-mile climb up Bear Mountain will serve as the turn around point for the cyclists. After descending, the course will wind its way back to New York City. Climbs: While the climb up Bear Mountain is the featured climb, there are three other challenging climbs that will also be timed. Participants can measure themselves against the world's finest cyclists, teammates and friends. But the event is a great experience for recreational cyclists as well, with each participant choosing their own speed at which to complete the event. Support: Throughout the day, medical and mechanical support will be stationed along the course for anyone in need of assistance. Volunteers will be present on the course at any turn on the course to direct participants. Volunteers on motorbikes will be circling the course as well, ready and able to help anyone in need. Along the route, participants will enjoy well-stocked rest stops. A great post-race party will await participants at the finish line. 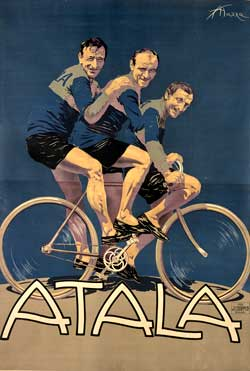 Expo: On May 7, 2011, the Gran Fondo New York expo will be held. The expo will have vendor booths from sponsors and exhibitors, where participants will be able to check out the latest gear, apparel, nutrition, and many other products and services. Each cyclist is required to personally pick up their registration packet on Saturday, May 7 between 8am and 8pm. Prizes: The ride up Bear Mountain and three more challenging climbs will be timed. Winners of various categories receive great prizes, including a special winner's jersey. After the race, prizes will be awarded to fastest overall participants, across age groups, cycling team, corporate challenge team and Lui+Lei (him+her) categories. Throughout the awards ceremony, raffle prizes will be distributed. Please refer to the FAQ on our website for more information. Entry Fee: The entry fee for each participant is $195. Included in the entry fee is a professionally designed cycling jersey, which is mandatory apparel for the event. The event goodie bag, "pacco gara" will contain various products from the event sponsors. If you've registered but are unable to participate, you may transfer your spot to someone else for a $50 transfer fee by April 15, 2011. Eventbrite fees and credit card processing fees are third party fees, Gran Fondo New York, Inc. is not responsible for third party fees. Travel Booking: Gran Fondo New York is working with travel agencies in Italy, Germany, UK, Ireland, Australia, France, Spain, Bermuda and South Africa. Please check the Gran Fondo New York website for travel partners. All athletes have the option to register directly and handle their own travel. Or they can book their travel and registration through an official GFNY travel partner in their region. Team Competition: If you are cycling for a team in GFNY, please make sure that each teammate writes the name of the team in the exact same way to be easily matched up in our records. A team name can be a cycling team, a corporate challenge team, a him+her team or a tandem bicycle. Tandem bicycle teams are not eligible for prizes. Cycling Team and Corporate Challenge: Top 4 finishers in a team will count towards the competition. All members of a cycling or corporate team (not the him+her team or tandem bicycle) are eligible for individual overall and age group prizes. Only the winning cycling team and corporate challenge team (not top 3 teams) will be awarded prizes. If you are a member of a corporate challenge team, please make sure you select the Corporate Challenge category. If you are a member of a club in your home town, but don't expect three clubmates to join you, you could still write the name of your club as the team name. However, only teams with at least 4 members will be counted towards the team and corporate challenge competitions. The Corporate Challenge is for employees or relatives of employees of the same company. Him+Her Team: A female and male rider have to start and finish each of the four climbs within thirty seconds of each other. Because it's tough to find two riders of the same ability and fitness, pushing, pulling, dragging, encouraging, screaming, shouting and any other means of working together is allowed. The him+her team competition consists of two age categories: sub-80 and 80+ years old combined. Event Jersey: Please refer to the below size chart to determine the correct size for your cycling jersey, which is included in your entry fee and mandatory apparel for the event. The jersey is European sizing, which is usually one size smaller than American sizing. If you usually wear an American medium, select a large today. The jerseys are unisex. If you are a woman and usually wear an American medium, then select a medium today. We'd like to thank Eventbrite for being our official race registration provider. Do you have questions that weren't answered here? Send us an email at info@granfondony.com. We look forward to hearing from you!" 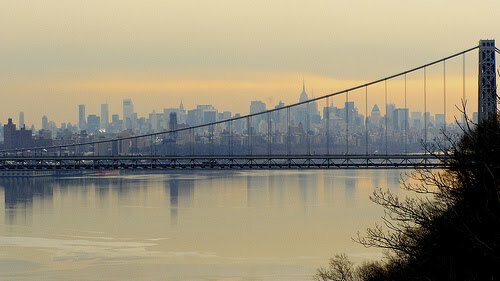 Photo: the George Washington Bridge spanning New York and New Jersey with view of New York City skyline; the bridge would have lane closures as riders cross. The town of Rivalta Brentino of Belluno (VR) is getting ready to relive the emotion of the Granfondo Eddy Merckx-Trofeo Giordana next June 12th, 2011. 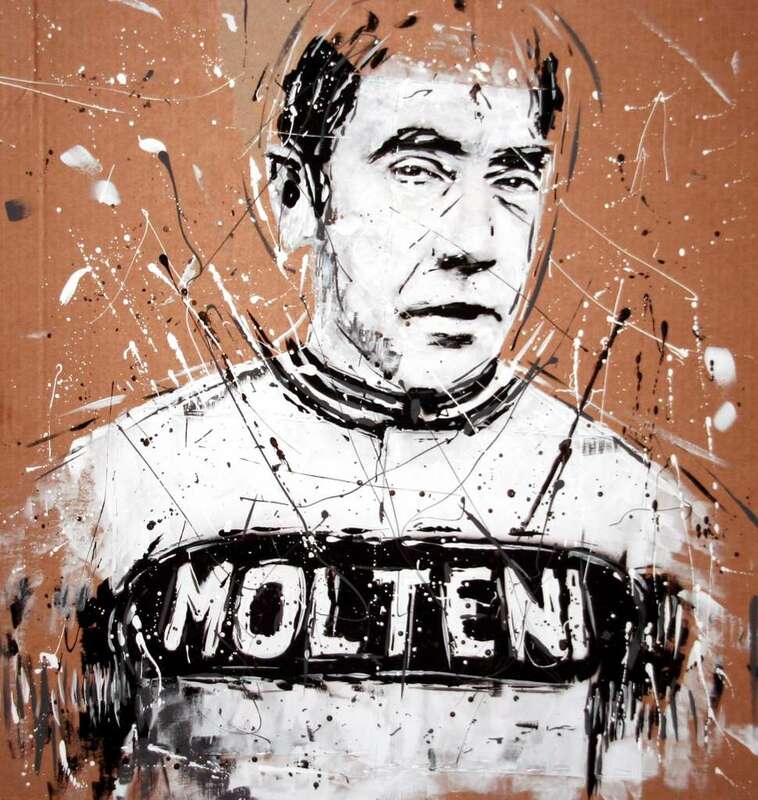 Eddy Merckx The event will be celebrating its fifth anniversary. Yes, you can ride along side Eddy Merckx. Two courses will be offered: the granfondo of 153 km and 3204 meters of ascent and the mediofondo of 85.5 km with 1,700 meters of ascent. 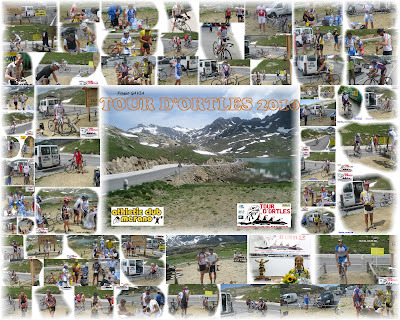 The event website www.granfondoeddymerckx.com has been revamped, and registration is now open. They also now have a Facebook page and you can follow announcements on twitter. Despite having signed Carlos Sastre and Denis Menchov as team leaders the Geox-TMC was not selected as as UCI ProTeam (formerly ProTour) for 2011, instead being named a UCI Professional Continental Team. Now they can only hope that they will receive invitations to the major races rather then being guaranteed entry. Mauro Gianetti, the manager of the Geox-TMC team, has bitterly criticised the way the UCI has awarded ProTeam places for 2011 after his team missed out on one of the 18 slots. In the sporting criterion list issued by the UCI on November 2 and based on riders signed for 2011, the Geox-TMC was 17th and looked set to secure a place thanks to signing Carlos Sastre and Denis Menchov as team leaders. However, the team missed out with Quick Step and Ag2r moving past them to secure the final places. The UCI has so far refused to reveal how teams are awarded ProTeam status. Gianetti suggested the sporting criterion used by the UCI to decide the 18 ProTeams makes scoring points more important than ethics. “I think this decision is bad news for cycling,” Gianetti told Cyclingnews. “Carlos Sastre is the only Tour de France winner since 1996 not to be involved in a doping scandal and yet that’s been ignored and the only thing that matter seems to be the points riders have scored in the last two years. 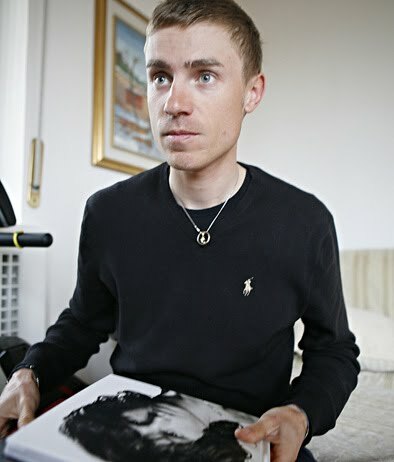 “Riccardo Riccò caused huge damage by testing positive during the Tour de France. It cost me a major sponsor and stopped another sponsor coming into the sport. So how can the points he scored in 2010 after making a quick comeback, be more important that what Sastre or Denis Menchov has achieved? Gianetti has managed the relatively weak Footon-Servetto team this year but argues that the 2011 Geox-TMC line-up was strong enough to be a ProTeam. Geox-TMC will now be considered for Professional Continental status and could still secure an invitation to the Tour de France and other Grand Tours. Gianetti, however, is worried about the effect the UCI’s decision will have on the future of the Geox-TMC team. “I don’t know how both sponsors will react to this decision. I think it’s terrible to treat new sponsors this way. Both companies have international markets and wanted to ride all the major races, around the world, to promote their brands. CycleSport: MCipollini RB1000 is "Bellissimo"
French magazine CycleSport was very impressed with the RB1000 from Mario Cipollini calling it "Bellissimo". The only negative was for price: 12,100 euro as tested. btw, I've never seen an RB1000 with two water bottle cages...has anyone? I'd welcome any French language readers to supply a brief translation focusing on the key points of the of the article (click on photos to enlarge). Dr. Carlo Guardascione, the Team Lampre-Farnese Vini physician, speaks about the winter break. - During the post-season break is it better to completely stop activity? "It would be better to rest completely for 15-20 days. Then, it's good to start activities in a gradual way: before cycling it could be useful to swim, run or to go to the gym". - The winter break is always linked to a weight gain: how many kilos can a cyclist add to his weight? "It depends on the different bodies of the athletes and on other factors. A limit for a pro cyclist is 5% of his normal weight: so, an athlete, that is usually 70 kg, needs to pay attention to not exceed 73,5 kg". - Do the cyclists suffer from the same winter illnesses that affect all other people or do they suffer from peculiar infections? "No peculiar illnesses; the athletes have to face, as do non-athletes, illnesses of the winter months. These include those caused by flu viruses and by gastrointestinal viruses. The only peculiarities for cyclists are the problem of the sudden change of temperature due to taking vacation in warm places: when they come back to their own country they're target for colds". - Which kind of precautions does a pro cyclist take in order to avoid illnessess during winter? "Every year the medical staff from Team Lampre suggest to the riders an anti-flu vaccination and immunostimulant therapy". - Could winter be the proper time for addressing some medical problems? "Of course, the winter pause could be the proper time for taking care of dental problems, sinusitis, pharyngitis and problems linked to the posture". - What suggestion to you have for cyclists that restart cycling is in this wet period? "It's very important to wrap up in a proper way, because during training you breath cold air that could cause colds". Verona entrepreneur Piergiorgio Giambenini, a sponsor of the ISD-Neri professional team, has expanded his TTNK ski and tennis store in Verona to include the sales of bicycles. 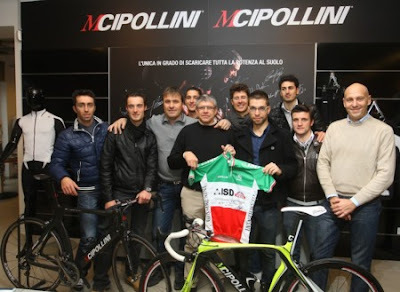 Mario Cipollini's MCipollini brand of bikes and Specialized bikes will be sold at the store that is near Porta Vescovo, one of the old entrances to Verona. The store is among the first in Italy chosen to sell Mario's bikes. The inauguration yesterday was attended by Mario Cipollini and Italian national champion Giovanni Visconti of ISD-Neri along with most of his teammates. If you are Verona the TTNK store is located at Via Francesco Torbido, 2. Filippo Pozzato, the cycling champion of Team Katusha, is mobilizing to provide help to the people affected by the recent flooding in the Veneto region. 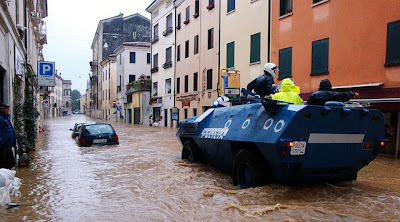 As examples of the destruction the photo above shows the historic district in Vicenza, and you can see read here how Selle SMP was devastated. Pozzato is donating 10,000 Euro to institutions that will assist with the reconstruction of houses damaged by flooding. This donation matches that of a charity organized in collaboration with Sci’Con, the Italian manufacturer of bike bags and travel cases. Sci’Con products are imported in to the US by Albabici. Together, Pozzato and Sci’Con created the Pippo Pouch, a multifunctional lightweight microfiber bag (dimensions 30×40 cm) that can hold a change of clothing, shoes, and helmets or even used as a travel laundry bag. 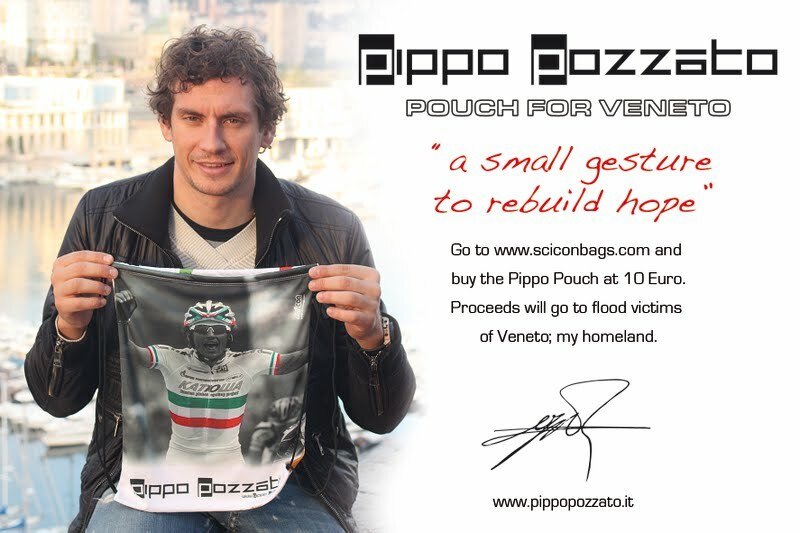 The Pozzato Pouch is available on www.sciconbags.com at a standard price of 10 Euro; or signed by Pozzato himself at the cost of 20 Euro. Proceeds will go to flood victims of Veneto. Hate Riding Indoors During the Winter? Hate riding indoors during the winter? Winter riding outdoors requires keeping warm, especially keeping your feet warm. Before heading out this winter consider the several solutions SIDI has for winter riding. First, put on some "Warm" socks. They are elasticized and produced in Thermolite, a light, breathable, fast-drying material that can retain heat and provide comfort without additional weight. 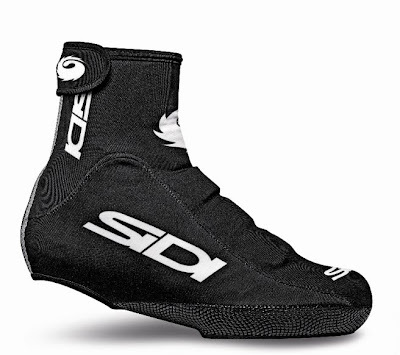 Second, put on the SIDI "Hydrogore" winter road shoes which are designed to keep your feet warm and dry on even the nastiest of days. A high Velcro closure keeps cold and humidity from entering the shoe and the Gore-Tex membrane insures your feet stay warm despite cold, wind and rain. Their mtb version of this show is the "Diablogore". Lastly, for those particularly nasty days you can put on a pair of "Thermocovers" to make it three layers of protection against the elements. AAA sprinter wanted urgently. Candidates with references (results in races above 250 km). What may seem like a joke is a bit of the state of mind of Paolo Bettini after spending Thursday and Friday analyzing the World Championship course in Copenhagen. "It is not as tough as the last two years, but harder than Zolder 2002 where Chipollini won", said Bettini. The race takes place September 25, 2011. Bettini believes that the medals will be decided in a group sprint to the finish line at the top of Geels Hill. "It'll be a large groupe sprinting for gold after a very long race. It'll end with a powerful sprint for riders with great stamina and great power. Nobody wins the WC by coincidence and you'll have to be very well prepared", Bettini explained. "It is not an easy sprint. First of all it is uphill, and prior to that the pace will be accelerated in the last kilometers before the hill. It'll be extremely important to have two riders at the front, leading out the sprint". For the time being the candidates for the role of team captain are two: Alessandro Petacchi and Daniele Bennati. Petacchi is more reliable but will be 37 years old in January. Bennati is 29 years old but coming off of two difficult seasons. The third name that excites the imagination of C.T. 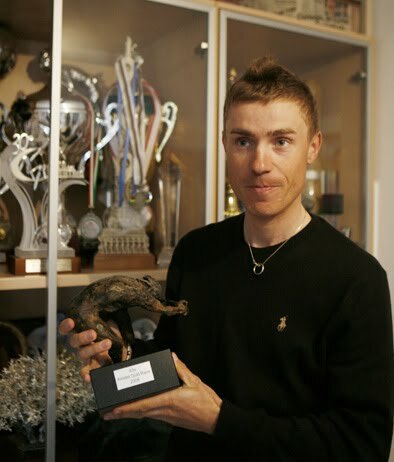 Bettini is that of Francesco Chicchi, former world champion in U23 at Zolder in 2002. Bettini, however, believes the powerful Quick Step sprinter has yet to be able to prove that he can be competitive at more than 180 km, his current limit in races (the WC course is 280 km). Behind these are good Italian sprinters but with two flaws: lack of international experience in big races and a guarantee that they could compete with the likes of Cavendish, Farrar, Greipel, Hushovd (current World Champion), and Freire. Bettini also observed that Matti Breschel will be very motivated to take the Gold medal on home soil. To view in full size click here. Italian public prosecutor Benedetto Roberti traveled to Interpol headquarters in Lyon this week to exchange information regarding the international traffic of banned substances. He indicated that the US federal officers that were present are focused on seven-time Tour de France winner Lance Armstrong and the US Postal Service team. That being said, I was more interested in his comments about what had to be done regarding the difficulty of the races. "That’s what they say. Unfortunately that’s the system," Roberti said. "The sport relies on sponsors and sponsors don’t pay the teams unless they win and to win they need to use banned substances." "The races are too tough. They need to reduce the kilometers. It’s impossible to think that they can complete these races as they are without using banned substances. If they reduce the lengths I know people will say they’ll still dope, but at least they would have less reason to." Riders' reactions to the 2011 percorso after the presentation are here. Will grand tour organizers respond to the calls being made for reducing the difficulty of the races? Are you getting ready to become a guest contributor between January 1st and February 15th? Read the details here. 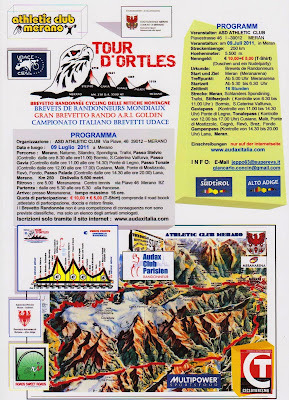 Nearly 28,000 cyclists submitted applications for the 2011 Maratona dles Dolomites which will be celebrating its 25th anniversary. Those that have been selected in the 8,000+ random draw have been notified that they must confirm their entry between December 1st and April 14th. For those that have not been selected in the draw and still wish to participate there are 170 slots available at an increased price. The difference in the increased price over the standard registration fee (80 euro) will be donated to a charity. Last year the charity registrations were used to support the drilling of water wells in the region of Karamoja, Uganda. This year these registrations will be used toi support 25 micro-projects. 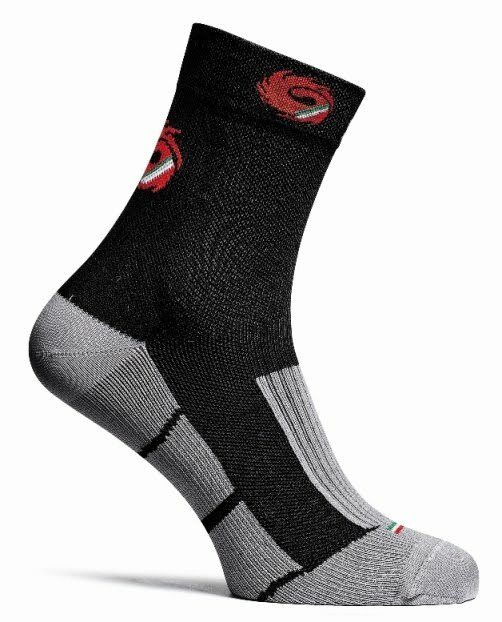 These entries can be purchased by credit card exclusively online on www.maratona.it on November 24th 2010 starting at 6 p.m. (GMT+1). Don't be late! Click here to see in full size. The United States version of the Fiat 500, an Italian and European market success story, was revealed yesterday at the Los Angeles auto show. 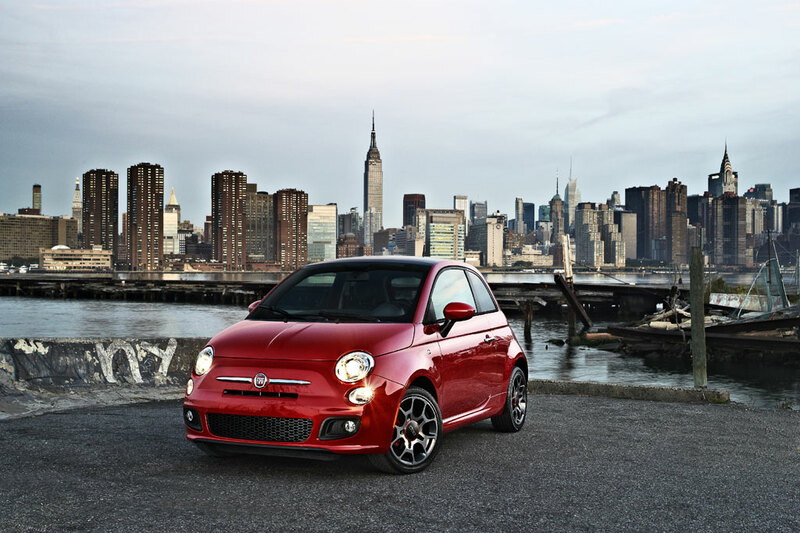 Fiat is no newcomer to the USA market having established a Fiat manufacturing plant in Poughkeepsie, NY, in 1908. 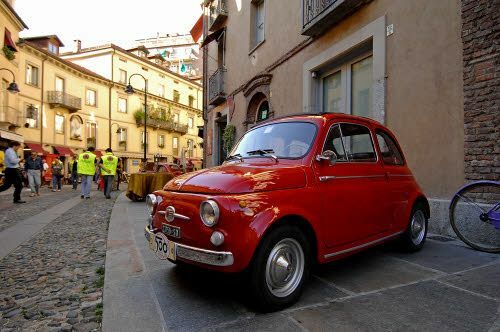 The iconic Fiat 500, known lovingly as the "Bambino" but officially at the Nouva (new), was introduced in 1957. 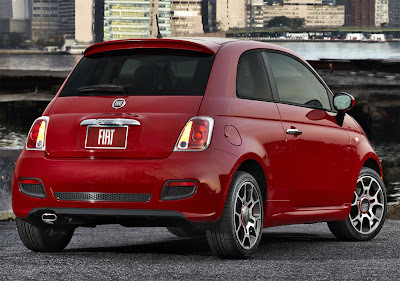 The new Fiat 500 was introduced in 2007, and now the Fiat 500 USA is arriving in the USA. The USA version of the Fiat 500 has undergone many modifications to meet market requirements: a redesigned body structure to increase resistance, a new suspension system, more than 20 modifications to reduce noise, vibrations and harshness, re-designed brakes and ABS system, fuel tank size increased to 10.5 gallons, improved heating and cooling system, newly designed seats, new steering wheel controls and a recalibrated steering effort. The Fiat 500 USA price starts at $15,500 for 1.4-liter engine developing 101 HP. The Fiat 500 USA price list for the various options will be available at local dealerships. The Fiat 500 USA is manufactured in Mexico. 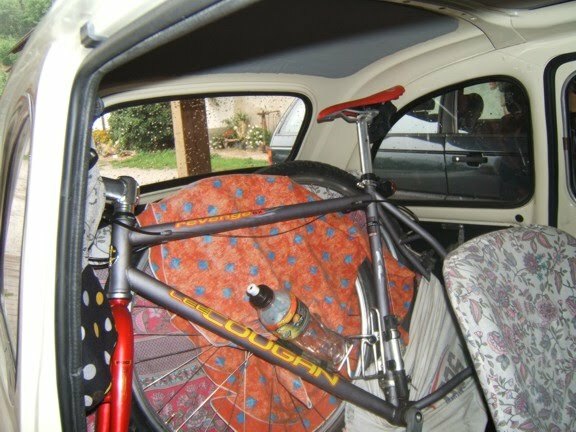 A bicycle, minus wheels, does fit inside (best take your bike to the dealership to make sure). 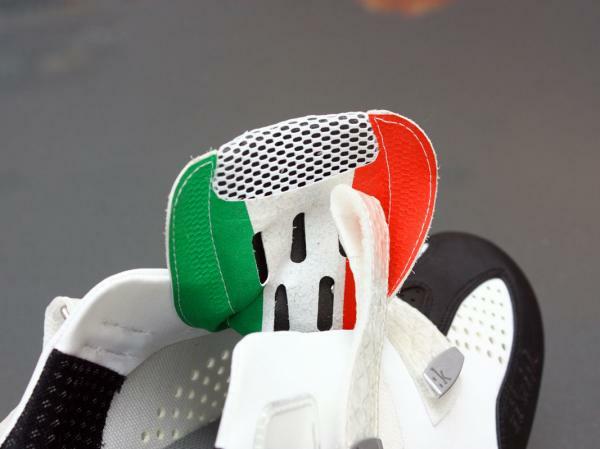 Will You Be Wearing fi’zi:k Cycling Shoes? 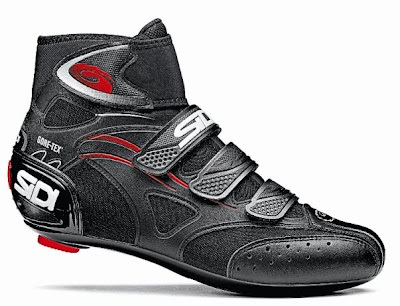 Italian Saddle maker fi’zi:k introduced their first entries into the cycling shoe marketplace at the Eurobike show in September. fi’zi:k spent two years developing the new shoe range focusing on making shoes featuring fine Italian craftsmanship. The range currently consists of two models, the R1 and R3 in which R stands for Road. fi’zi:k is also going to develop a mountain bike model for 2012. The R1 and R3 shoes will be arriving at stores Europe and the USA in December; for now the company is not selling the shoes in Asian markets because those markets require a dedicated Asian fit, according to fi’zi:k.
The R1, which is for men only, is the top of the line shoe while the R3, for both men and women, is slotted below the R1. The R1 features of the fi’zi:k road shoe include: uppers constructed from kangaroo leather trimmed with sail cloth straps and topped off by a carbon fiber buckle. The shoes uses a heat mouldable insole engineered in partnership with SIDAS technologies; SIDAS is French orthopedic brand. The primary difference between the R3 and the R1 is the material of the uppers. While the R1 uses kangaroo leather, a lightweight, durable and supple material, the R3 uses microber. Also, the R3 does not share the heat mouldable insole and other smaller touches. The R1 will retail for approximately US$400/€340 and either R3 model will cost US$300/€240. L'Eroica: Field Limit for 2011?